The PORT GmbH replaced in May 2016 status of Platinum Partner of Renesas. PORT realtime multiprotocol solutions for CANopen, PROFINET, Ethernet IP, Powerlink and EtherCAT support different platforms from Renesas. So versatile units in the field of real-time communications technologies are available for the product lines RL, RX, RZ, RIN and S.
Customers can choose from the RENESAS - modular industrial CPUs / MCU's who meet necessary selection for your application. The available PORT GmbH stacks and tools are platform independent and can be adapted to different applications. Customers obtain maximum flexibility. Coming soon, CANopen will be available on the Renesas SYNERGY platform for MCU family S1, S3, S5 and S7. In conjunction with the available Synergy – tools, for users it is very easy to integrate CANopen into customers applications. "For the PORT GmbH and their employees, it is a great honor to be a part of platinum partners to be appointed by RENESAS says Dietmar R. Franke CEO of PORT GmbH. 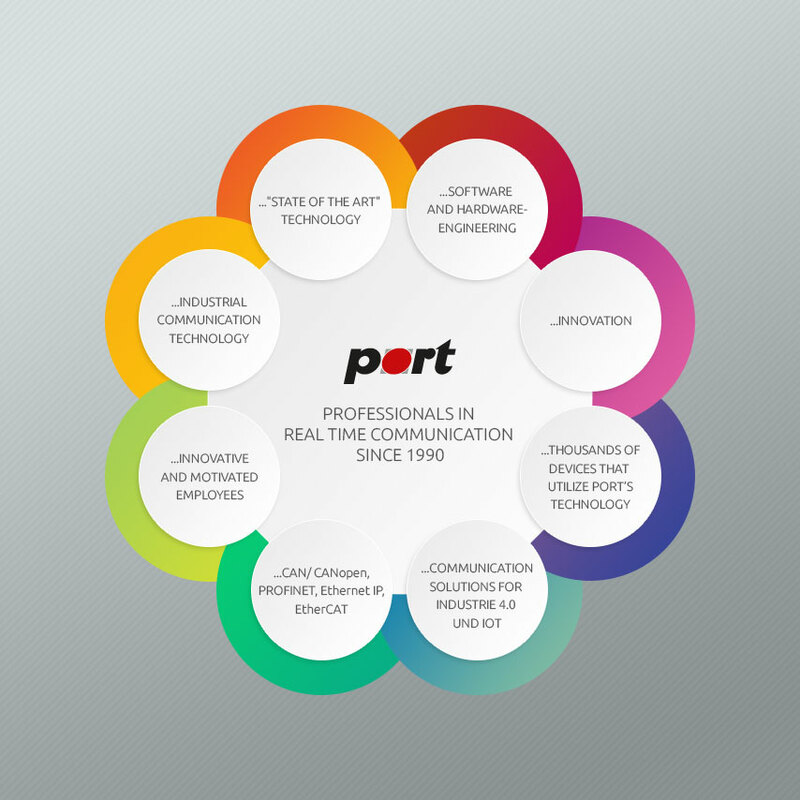 It underlines the high competence and customer acceptance of the company PORT GmbH in the area of ​​real-time communication technologies "